Who knew cola could be a medicinal drink? When I had the sniffles or a sore throat as a child, I was given a hot drink of cola, boiled with ginger and lemon. And, by gosh, after drinking this delicious concoction I seemed to feel better. Once in a while, I order this drink, which is still served at Hong Kong style cafes, and let it transport me back to my childhood. 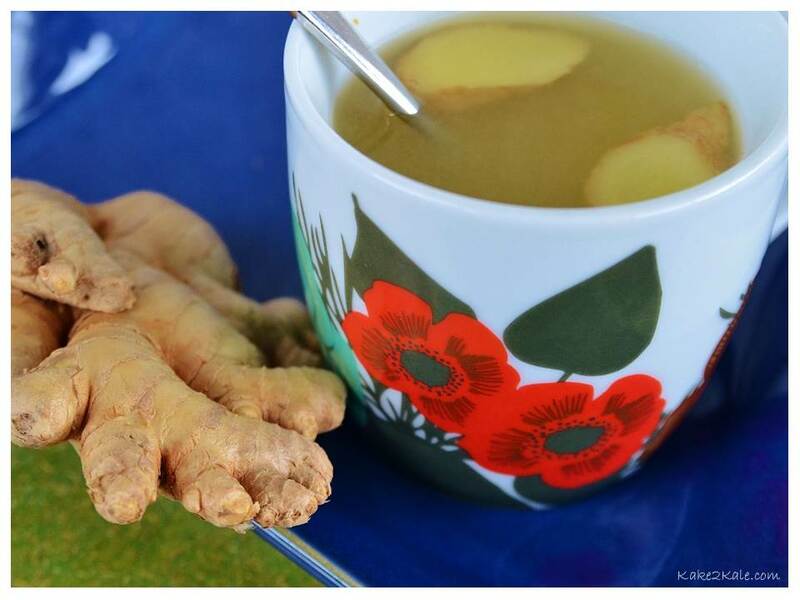 Now, instead of hot cola, my husband and I make a hot drink with ginger when we feel under the weather. “Shall I make you the concoction?” offered by my wonderful husband is music to my ears when my nose is runny and my chest is congested. After a cup or two of this drink, the congestion loosens up and I am able to expel the, ahem..mucous. 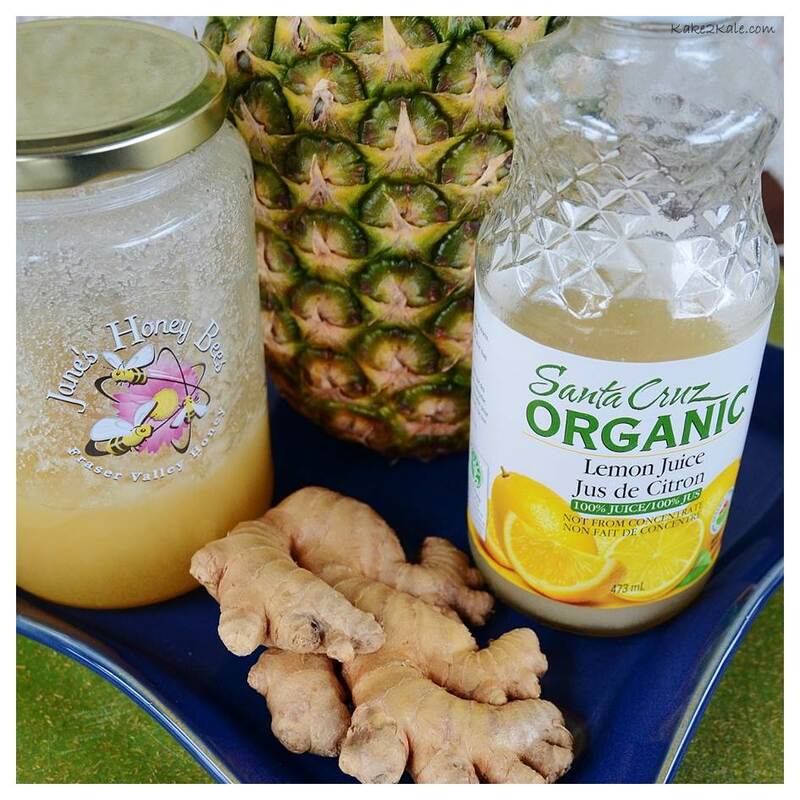 Since this drink does such a good job of chasing away those nasty symptoms I am calling it the Ginger Bomb! Ginger is a rock star in the superfood realm, it might not look very pretty with its knobby physique, but it is packed with medicinal and therapeautic properties. You may think of it as a root, but in fact is the subterranean stem of the plant, called a rhizome, from which roots and shoots extend from. It has been used in China for thousands of years, and spread to many other cultures via the Silk Road. It is full of antioxidants like zingerones and gingerols, as well as having antibacterial, antiviral, anti-parasitic, and antiseptic properties. Ginger may also be just as effective as non-steroidal anti-inflammatory drugs in helping with pain relief. Studies have found a significant decrease in pain from muscle soreness in women athletes, and a reduction in migraine headaches and even in menstrual cramps. It is also well known to be effective in reducing nausea and upset stomachs. It is also great for coughs because it helps drain the lungs of mucuous, which is why it is in our concoction! Ginger is usually sold in pretty large chunks, so when I can’t use it up fast enough, I put it in the freezer, and just grate what I need. Naturally, you can enjoy my Ginger Bomb concoction even if you don’t have a cold or the sniffles! It’s a cozy and healthy drink anytime of year. Pineapple – Contains Vitamin C, bromelain which is a digestive enzyme. Lemon – Contains Vitamin C and lots of phytochemicals. Honey – May help in treating seasonal allergies if you take a daily dose of honey made from your local area. It fights infections, in particular manuka honey, which is made from the tea tree plant. Put ginger slices into a pot of water and bring to a boil for 10 minutes. Add pineapple juice and heat through for about 2 minutes. Then add honey and lemon juice. Serve immediately while hot. *You may save the ginger slices to be used for another bomb. I’m extremely tempted to try “the concoction”– having the worst bout of winter congestion ever right now. I’ve made a note of the ingredients for future reference, thanks for sharing!